Nissan Diesel was originally the heavy truck division of Nissan Motor Company, and was sold to the Volvo Group in 2007 and renamed UD Trucks in 2010. UNIC is a Japanese crane manufacturer. Exterior detail is quite nice, with anti-slip texturing, various molded hatches, molded front and rear lights, and license plates. Of course, most of the play value is from the movable UNIC crane. The crane base is metal and rotates, while the arm is plastic and extends. This particular example is missing the hook at the end, and the crane arm doesn’t hold itself up very well. There isn’t any interior detail to speak of for the truck cab or the crane cab, nor is there any glass. The base has little mechanical detail, and is plastic, which seems like a fairly early use of a plastic base for a diecast. The marked scale is 1:150, which makes sense, as a crane truck is much larger than an ordinary passenger car. By the old wheels, this is an early production model, sometime between the model’s introduction in 1973, and 1977 or so, when these wheels were phased out in favour of button wheels. 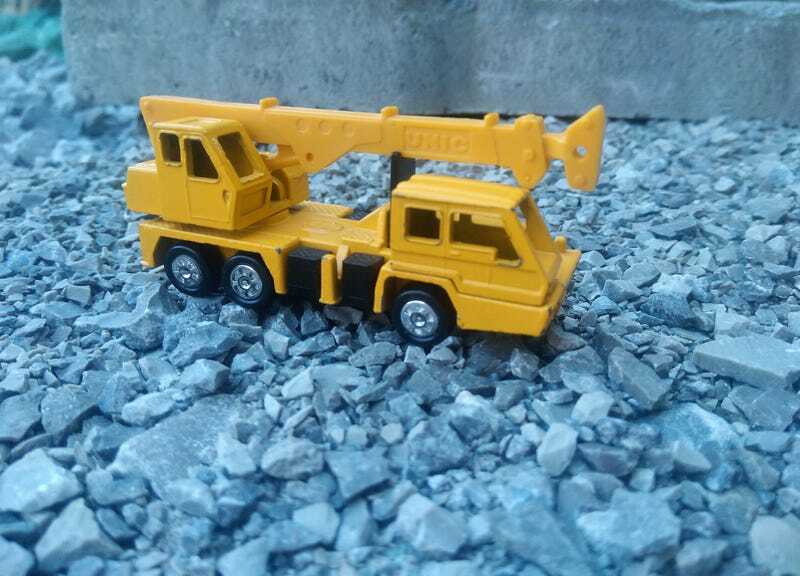 In addition to the regular Tomica lineup, the same truck was cast as part of the Tomica Dandy lineup, as 014, in 1:90 scale. Both the small-scale and Dandy versions seem to have enjoyed a long run in the lineup.